The history of piano is often said to begin with the invention of the Fortepiano by Bartolomeo Cristofori in Italy around 1740. Two influential predecessors in the history of piano keyboard instruments were the Hammered Dulcimer and the Psaltery. 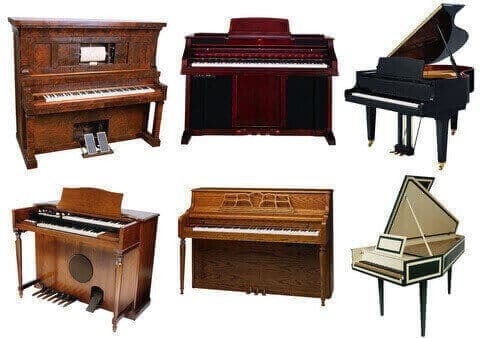 Let’s meet the early "ancestors" of the piano! The Hammered Dulcimer, is an ancient instrument still used today, where strings are played with mallets that hit the strings. It belongs in the history of piano keyboards as one idea source for the invention of stringed keyboard instruments like the Fortepiano, where hammers hit the strings. 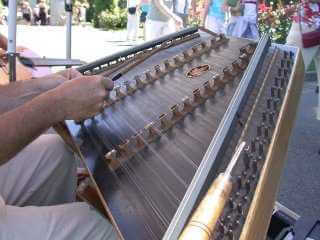 The Hammered Dulcimer originates from the Near East and probably dates back 5000 years. 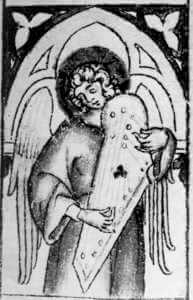 The Psaltery was another ancient instrument that was popular during the Renaissance. The Psaltery probably originated in the Middle east and reached Europe in the 12th century. It was plucked, like the later Harpsichords that were plucked with quills. These instruments were certainly all part of the inspiration that led to the construction of the first keyboards during the 14th century. 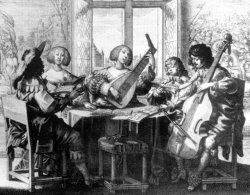 The keyboard instruments of the Renaissance were very soft-sounded and usually used as solo instruments, or to accompany singing. The tradition of improvising on music pieces, embellishing the notes and making up your own variations on a theme was common practice up to the end of the 19th century. The Virginal was an instrument where, like the Spinets and Harpsichords (later), the strings were plucked with a quill. The Clavichord was invented in the early 14th century. It was an instrument where the strings were pushed with a tangent. This made it possible to also create a vibrato! 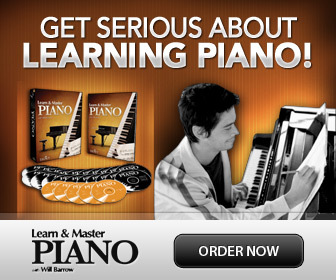 Did you know that you can get copies of these historical keyboard instruments even today? You can even build one yourself- if you are handy! There are "kits" that you can with hard work and patience put together on your own. During the Baroque era the orchestra developed. It was still small, but up to 20 people playing together was a rather new invention in Europe. The Harpsichord became a very popular instrument. Being much louder than the Virginals and Clavichords, it could be used for many more purposes as well as to play together with other instruments. 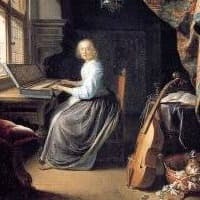 The popularity of “Basso Continuo” (where the Harpsichord was often used as an accompanying bass usually together with a Viola da Gamba (or the later Violoncello), meant the Harpsichord had to be refined to have a louder sound so that it could be heard over the other instruments. Actually, the Harpsichordist was also often supposed to be conducting the orchestra as well! 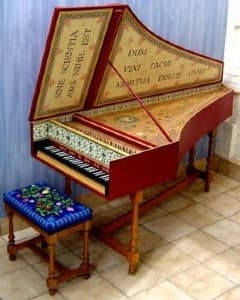 During the Baroque the Harpsichord became more favored than the Clavichords and Virginals. It was a very popular instrument for which composers now wrote music both as a solo instrument, and as an accompaniment instrument. The orchestra kept expanding, and it became more interesting for composers to use dynamic effects (loud and soft) in their compositions. Dynamics had of course been used in the history of piano keyboards much earlier, but the Harpsichords had a disadvantage- you could not really play loud and soft. As the Harpsichord strings were plucked with quills, you could not change the dynamics. 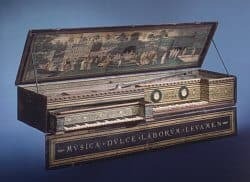 But some Harpsichords came equipped with a mechanism that plucks more or fewer strings, so you could at least create different, terraced sound effects. 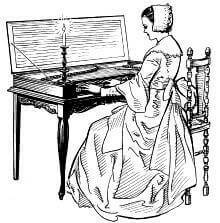 Many Harpsichords came with two and even up to three keyboards or "manuals" and by changing keyboard as you played you could achieve different dynamics and sound effects. But to gradually change the sound louder or softer- crescendo or diminuendo- was impossible. The Clavichord, in contrast, (as we saw above) which J.S Bach liked very much, had a metallic tongue, or “tangent” that pushed the strings rather that plucked them. This tangent "action" made it possible to change the pitch and even dynamics slightly, and even to create vibrato! But the Clavichord, although still popular, was very soft and therefore not useful in an orchestra. The first real piano in the history of piano keyboards, was basically a harpsichord, but played with hammers (covered in leather) hitting the strings instead of quills plucking them like the Harpsichord. The Fortepiano was invented around 1709 by Bartolomeo Cristofori (1655-1730), a well-known harpsichord maker in Florence, Italy. It was proudly named “Gravicembalo Col Piano e Forte” or "Fortepiano" (also "Pianoforte"), since it could be played both loud and soft! 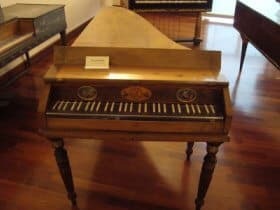 His invention was not so popular in Italy (unfortunately for him) but even though we can say it was Cristofori who invented the first piano, there were others working at similar inventions as well. Gottfried Silbermann (1683-1753) in Germany was working hard at improving and popularizing the new instrument, later also named Hammerklavier by Beethoven. J.S Bach never much cared for the new instrument; he loved his Harpsichord, Clavichord and Organ. But he still helped Silbermann making some adjustments and improvements on the new Fortepiano. It wasn’t until after 1760 that the Fortepiano became really popular. Unfortunately Bartolomeo Cristofori, who invented the piano, never lived to see the enormous popularity it would get later.